Completely automate your helpdesk to work for you with Trakdesk time-based automation. Time-based automation perform actions on tickets that match specific criteria set by you. 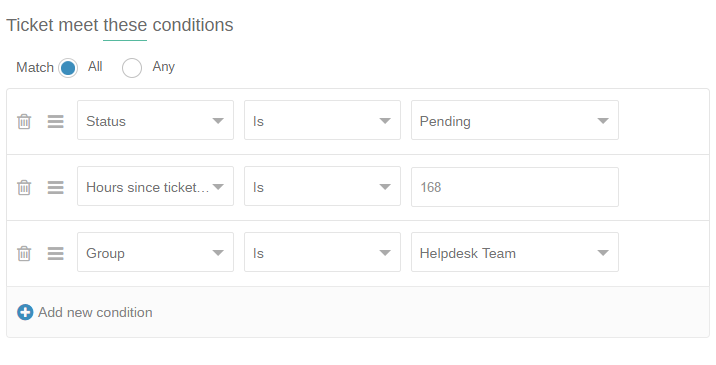 Automation periodically checks tickets and can performs actions such as; sending reminders to customers for pending tickets, automatically closing old tickets, assign tickets to agents in your team and many more. Note: Time-based automation runs on an hourly basis and process tickets that have been updated within the past 30 days. Conditions - The criteria a ticket must meet before the rule can be executed. 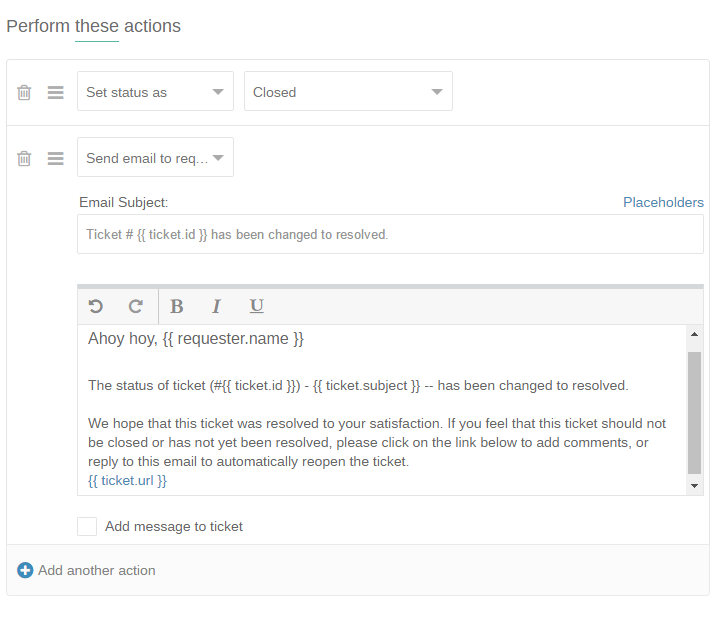 Then, close the ticket and send a notification the requester letting him know that the ticket has been marked as closed. 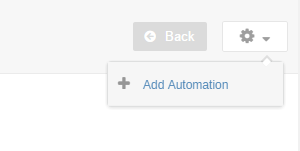 On the add automation page, enter a name and description for the rule and configure it with your preferences. Finally, click on the Submit button to add the automation rule. Note: Time-based automation are executed on a first match, first execute bases, so the order of the rule is important. A really cool feature!&lt;br /&gt; &lt;br /&gt; Even better is to realize what you can actually do with that kind of thing. We&#039;ve set up a time-based automation that will play a warning sound on our helpdesk team&#039;s hifi speakers whenever a new ticket has not been dealt with after 3 hours (using a Trakdesk webhook posting to our media player running within a VM on our Cisco router).